Roll the pastry out on a floured surface then cut into 6 squares. 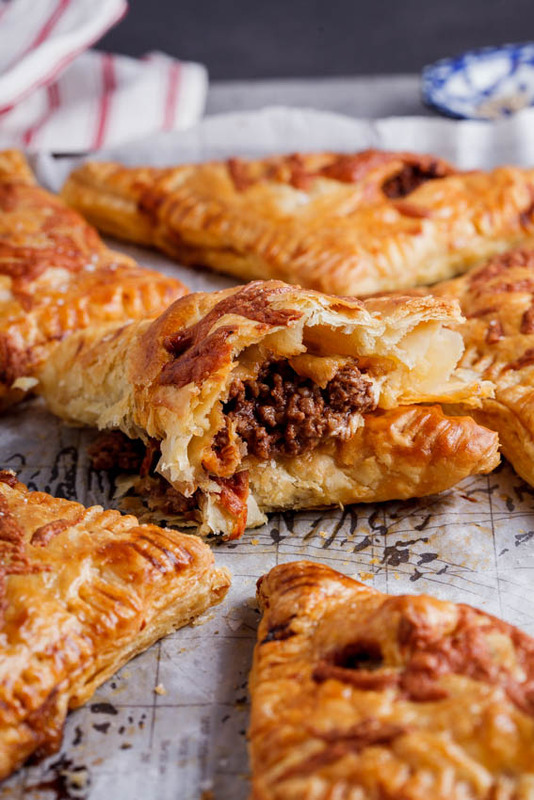 Place a few spoonfuls of the cooled left-over Bolognese onto the center of the pastries then top with a little cheese. Brush the edges of the pastry with egg then fold the pastry over and crimp the edges. Cut a slit into the top of the pastry to allow steam to escape then brush with egg. Place onto the prepared baking tray and continue until you have 6 pies. Sprinkle over any remaining cheese. Place the tray into the oven and allow to bake for 15-20 minutes until the pies are golden brown and cooked through. Remove from the oven and allow to cool for a few minutes then serve.